The Egyptian Ministry of Interior confirms that security forces have killed 11 suspected militants in the Suez Canal city of Ismailia as part of a campaign aimed at “foiling terrorist attempts to destabilise northern Sinai”. “Security forces monitored movements by some leaders in northern Sinai who planned to carry out a series of attacks against vital institutions and Christian places of worship,’’ the ministry added. The campaign came after Friday’s assault on a mosque in northern Sinai which killed 305 people, the deadliest attack in Egypt’s modern history. “A shoot-out erupted when security forces targeted a suspected militant hideout in Ismailia, around 115 kilometres north-east of Cairo, which led to the killing of 11 suspects, who are yet to be identified,’’ the ministry said. 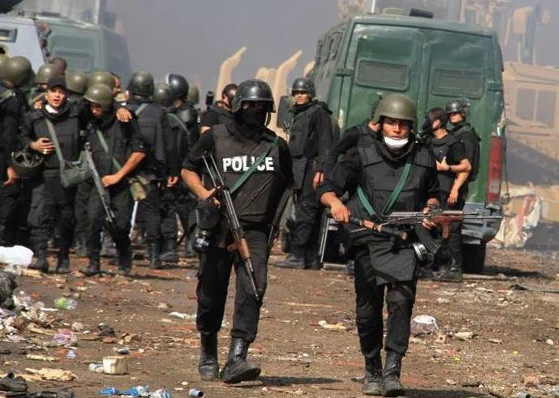 The forces also confiscated weapons and home-made explosive devices, while another nine suspects were arrested for “providing logistical support” for insurgents in northern Sinai. Prosecutors have said between 25 and 30 militants attacked the al-Rawdah mosque in the village of the same name, shortly after Friday’s noon prayers. However, no group has yet claimed responsibility. Militants affiliated with Islamic State have claimed previous attacks in Egypt. Those earlier attacks mainly targeted security forces and the country’s minority Christian community. Report says assaults on mosques are rare in mostly Muslim Egypt.